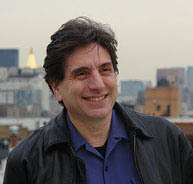 David Bergman has a unique background blending architecture and ecodesign with environmental economics and policy. This has led him down a road starting in architecture and expanding into teaching and writing on a range of topics in sustainability. As an architect, LEED Accredited Professional and Certified Passive House Designer, he runs a multidisciplinary design studio emphasizing the application of sustainable/eco design principles to architecture, interiors and product design. With over 25 years of experience, he has become an expert in the field of sustainable design, frequently teaching, speaking and writing on topics in sustainability. The architecture and interiors practice undertakes a wide range of residential and commercial projects including renovation, interiors and new construction. Designing for both environmentally-aware and “conventional” clients, Bergman’s work incorporates what he terms “Transparent Green,” the seamless merging of eco design with the individual needs of each project, resulting in designs that are effortlessly green. He is the author of Sustainable Design: A Critical Guide (Princeton Architectural Press, 2012). His blog, EcoOptimism (www.ecooptimism.com), explores how we can come out the other side of our concurrent ECOlogical and ECOnomic crises in a better place than we started. More recently, he co-authored Sustainability Districts for NYC: Building an Equitable and Resilient Future for the NYC 2030 District and EcoDistrict programs. In an earlier part of his life, he co-authored the 2nd and 3rd editions of Anyone Can Fly, a first-hand guide and narration of the experience of learning how to fly private planes. In addition to his practice, Bergman is Program Director of the New York School of Interior Design Master of Professional Studies in Sustainable Interior Environments. He is an adjunct faculty member of the Parsons School of Design where he has developed core sustainable design courses for four departments and has previously taught at Yale University and at the Fashion Institute of Technology. He was the co-creator of “Educating the Educators: A Crash Course in Ecodesign,” a program to bring sustainable principles to design schools. In 2005, he created and taught an interdisciplinary seminar at Yale on the emerging topic of the mainstreaming of green design, exploring his concepts of Transparent Green. He also co-curated and produced “Assignment: Green,” an exhibit and conference at the Municipal Art Society focusing on sustainable design education in New York City colleges. Bergman serves on the Executive Committee of the NYC 2030 District. The NYC District is part of the 2030 Network: a global network of thriving high performance building districts and cities, uniting communities to catalyze transformation in the built environment and the role it plays in mitigating and adapting to climate change. Bergman is the founding co-chair of Yale Blue Green NYC, an organization of Yale alumni in sustainability fields. He is an Executive Board member of the Designers Lighting Forum of New York, whose mission is explore and present the power of lighting in design. Bergman has also previously served on other boards including Furniture New York (an organization of New York designers and manufacturers) where he was a past president, O2NYC, the Municipal Art Society Urbanists (founding board member), NYDesigns, Traditional Home Magazine’s Green Advisory Panel, and Greenopia’s NYC Advisory Council. Bergman received a Master in Architecture from Princeton University, and a Bachelor of Arts in Architecture and Economics from Yale University. New York State Registered Architect, LEED Accredited Professional, Certified Passive House Designer.